Another product from Indeed labs today! I love my Hydraluron ALOT so I thought I'd try out something else from this new innovative brand! 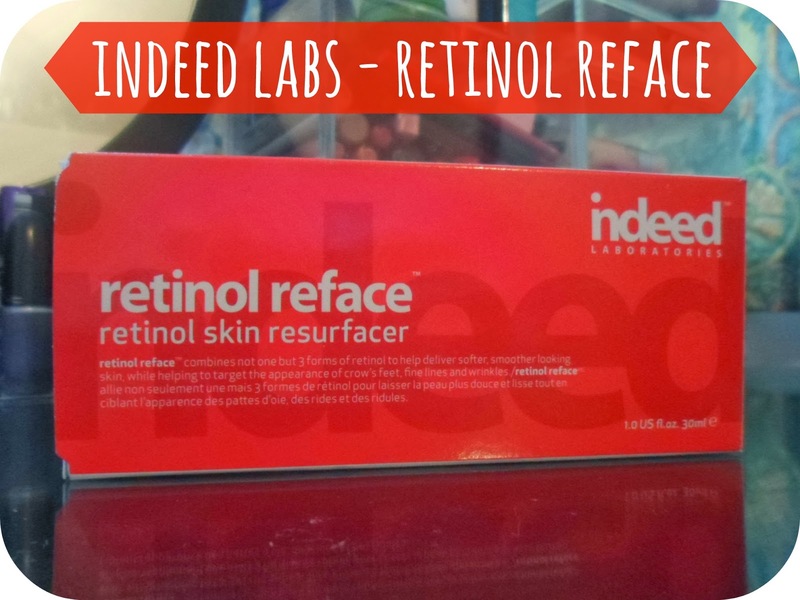 Up today is the Retinol Reface - a skin resurfacer cream with a cutting edge forumla! As Indeed Labs have 1/3 off at Boots at the moment I thought it was the perfect time to pick up this product I had been eyeing up for a while. Instead for the £19.99 price tag I paid only just over £13! This serum has a list as long as my arm of benefits which is what got me interested in the first place. These incude - to increase cell turnover, to reduce the appearance of fine lines, to reduce the appearance of wrinkles, restore skin's radiance, reduce the signs of aging and improve the skin's tone and elasticity. Alng with all those benefits the number one reason I picked this up because it promised to give me softer and smoother skin - what every girl wants right? 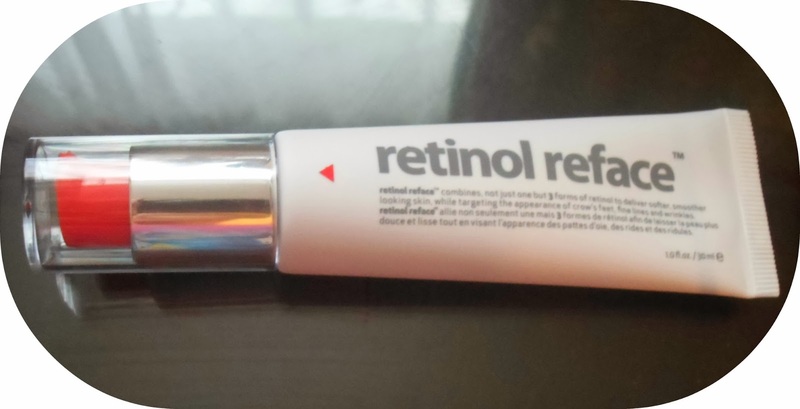 This stuff uses different forms of retinol to deliver it's promises so here is a bit of technical talk for you all which I found on the official description of the Retinol Reface. Retinol RA (Rapid Action) : Exclusive rapid action formulated with penetration enhancer that accelerates skin’s activity for rapid results on the appearance of fine lines and wrinkles. Retinol Micro-spheres : A soft , pure retinol encapsulated in plant microspheres that slowly releases into skin. This retinol has a low irritant potential and maintains all of its efficacy. Retinol-like peptide : Multi-faceted , anti-ageing , retinol –like peptide technology that provides same benefits as traditional retinol, without the skin irritation and /or discomfort. RETINOL [R]3 visibly helps to reduce the appearance of wrinkles, revitalises the appearance of sun damaged skin and restores healthy, younger-looking skin. 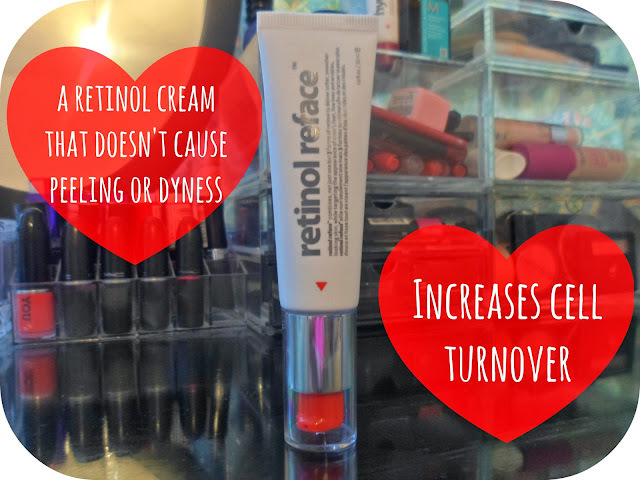 Although the word retinol has a bad reputation for side effects I can assure you this stuff is safe to use. Unlike other products this stuff also helps to moisturise your skin which stops the common redness, dryness and peeling in which other retinol products give. I apply this nightly after I have done my ritual of using Liz Earle's cleanse and polish followed by the skin tonic. I use about 2 pumps and apply it all over my face in circular motions whilst avoiding my eyes and lips. After it has sunk into the skin I just put on some moisturiser, normally just my Nivea soft cream, over the top and I'm ready for my beauty sleep! I have been using this stuff for a couple of weeks now and I have actually have 3 seperate people say to me at work that my skin is glowing! Maybe it's just because I see myself everyday that I haven't noticed the subtle change but there has got to have been one! As for wrinkles I'm keeping a close eye on them and hoping that after a little while I'll see a change. I know I'm only 23 but I still have a few that I'd like to get gone! My skin is feeling really soft and smooth aswell - just like it promise and the rough pimple patch of skin I once had has slowly started to dwindle away! Although this stuff is probably aimed at a more mature audience I find it great and will definitely carry on using it! For just over £13 I am so glad I decided to give this a go, now.... onto the next Indeed Labs product - any recommendations girls and boys? For best results it is better to use something better. These are some of our products to give you the right solution.visit our site and 'll Be getting the best solution Retinol is one of the form of vitamin 'A' which is very imporatnt for health.so we use retinol to protect our skin.